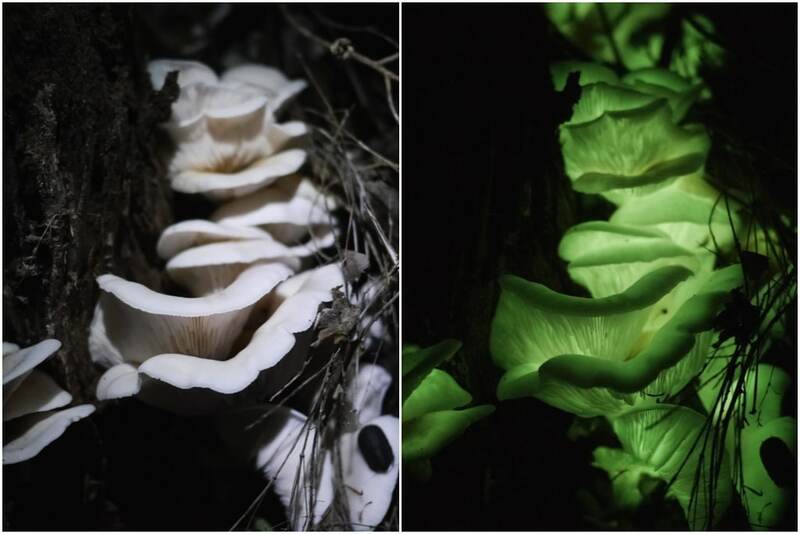 Recently we found something we’d always wanted to see – Glow in the Dark Mushrooms. No really, we did. Ghost Fungus, or Omphalotus nidiformis is actually quite common throughout southern Australia. 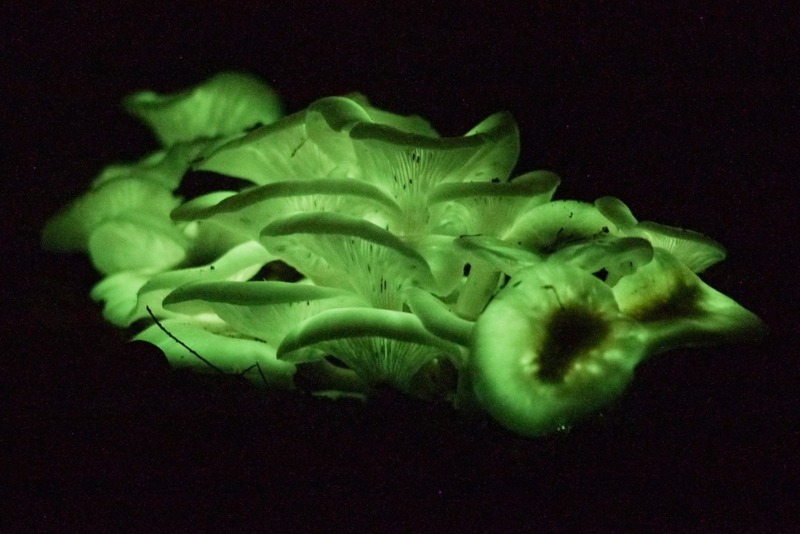 Pronounced Omfa-lotus nidee-form-iss, this is probably Australia’s best known luminescent fungus. 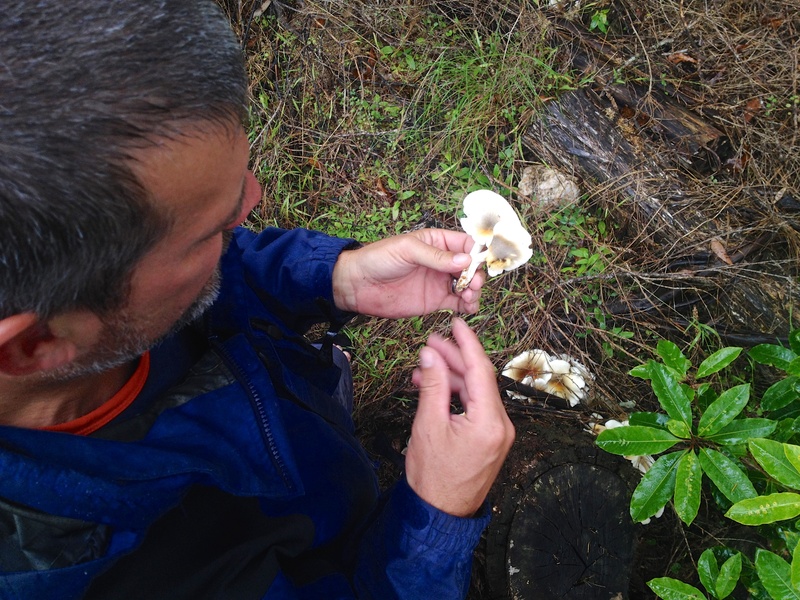 This type of fungus is an agaric, most often found on dead or diseased wood. 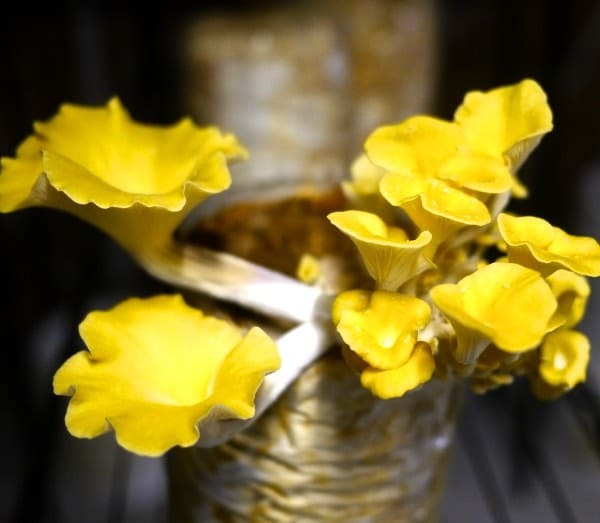 It’s classified as toxic if you eat it (handling it is fine though) – which is good to know because it looks a bit like forest oyster mushrooms. Except for the glowing factor… Omphalotus nidiformis are bioluminescent. In short, bioluminescence is a chemical reaction that occurs inside the organism, which creates photons. Ka-pow. It’s the same phenomenon as that which occurs inside a glowworm to create light. We came across some Ghost Fungus while we were down south at Mallacoota, visiting family. It’s something we (ok, particularly Nick) were hoping to find during a ramble one day. Slightly inauspiciously, we weren’t in the pristine deep dark woods when we came across it. 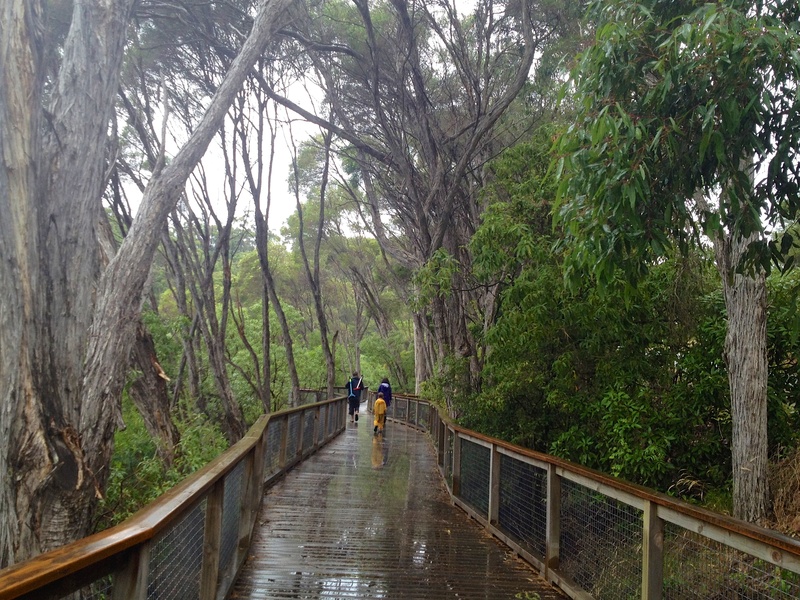 Infact, we were scootering along a estuary boardwalk, in the rain, with a rather cranky 5 year old. Wheee. 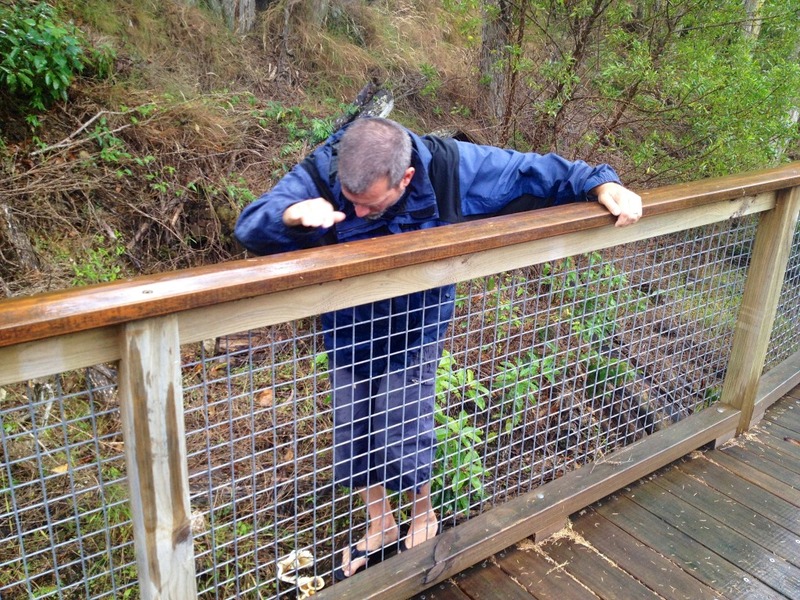 Context aside, Nick spied some fungus on a log, and vaulted over the boardwalk barrier to check out what looked like oyster mushrooms, but being as we were in the Aussie bush, probably weren’t. I think it’s the Ghost fungus! He said. So we put some in our pocket, took it back home, and proceeded directly to the dark end of the hallway – with a blanket over our heads and a clutch of fungus in our hands, to sit and wait to see if it glowed in the dark. As you do. And it did! Slowly but surely. Once that was confirmed, Nick went back to the stump that night, in the rain, to take some long-exposure photos of the ghost fungus in all it’s glory. 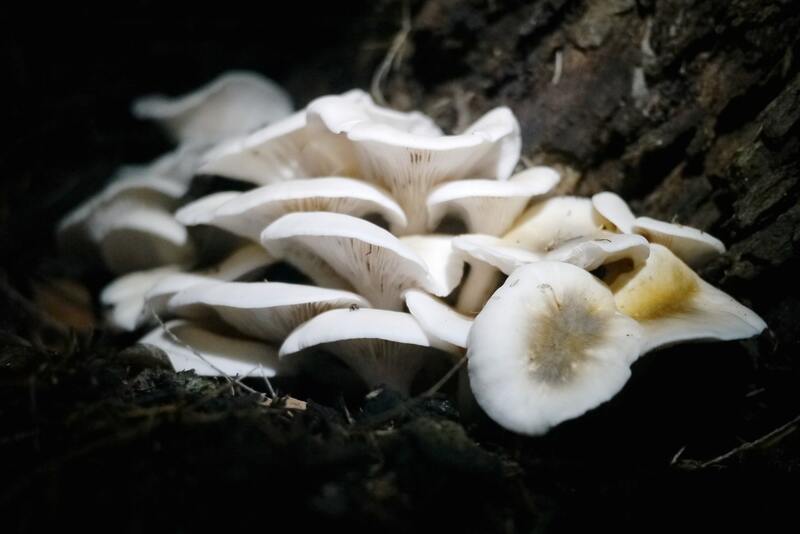 Isn’t it just the best thing to know that each night, out in the forests of Australia, the ghost fungi are gently glowing? 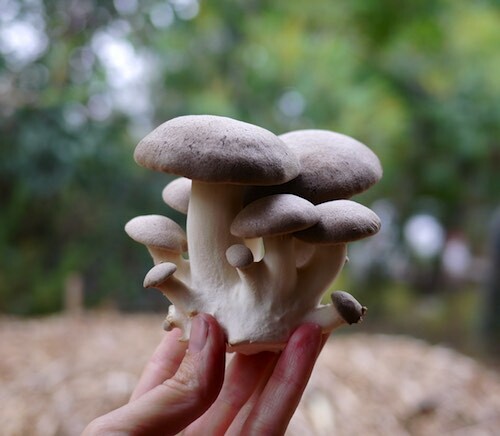 We run Gourmet Mushroom Cultivation workshops for folks wanting to add edible, organic mushroom production to their urban or rural homesteads. I think we got lost for a little bit there... In between all the . . The dams are full and the soft green winter grass in the orchard . . Very fascinating for me too !!! 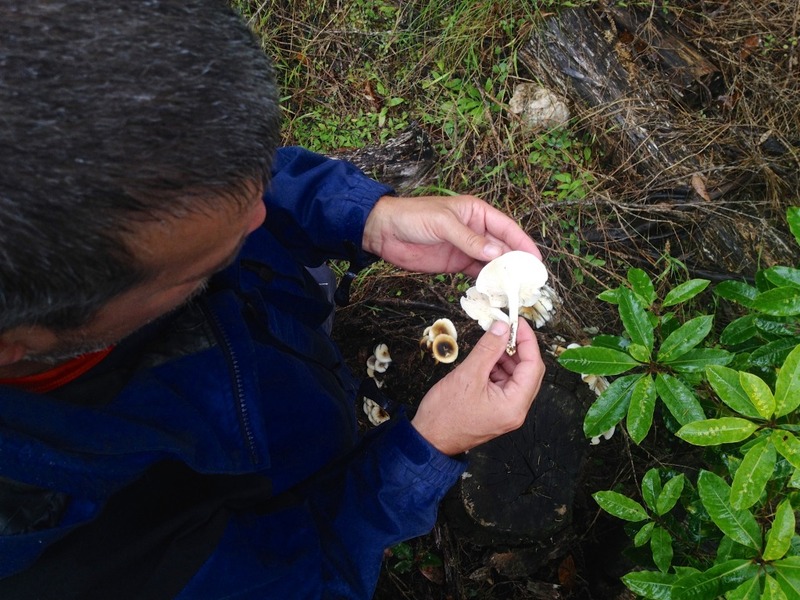 It’s amazing to know that those beautiful scenes from Avatar, are inspired by real life, not just imagination…..
For us long-time fungi-philes this is great information. 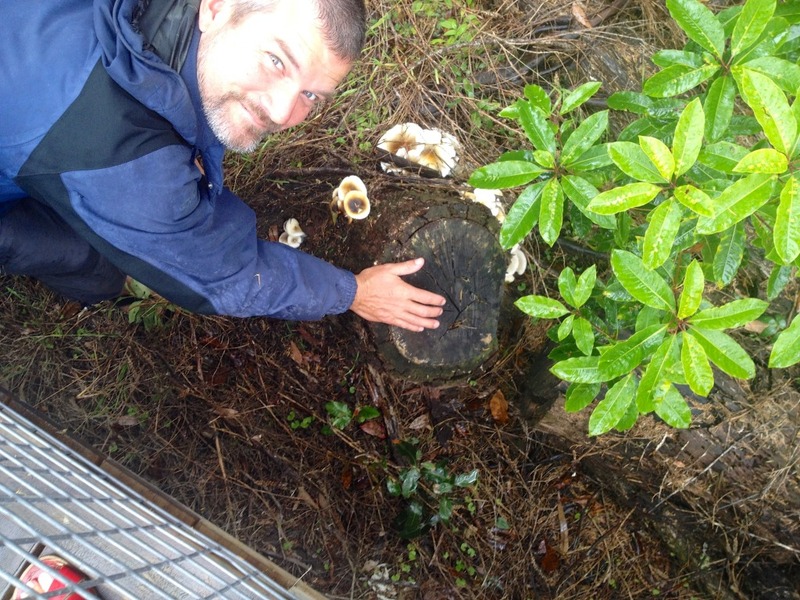 In our 17 yr old Permaculture food forest in Byron Bay we have white oyster mushrooms (Pleurotus spp) growing on logs we inoculated. These Omphalotus nidiformis look so much like them! And we are in the midst of making a collection of fluorescent fungi to light our pathways. It’s fungus season! Seeing a glow in the dark mushroom is one of my life goals! A glowing pathway! What a great idea Jude! 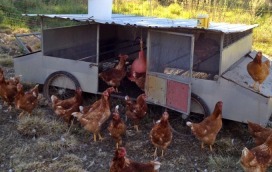 We are near bangalow and have a few around our place too! So amazing. Sorry I seem to be late coming into this conversation. We live in the Gold Coast and live on a farm. Now that my children has grown up a little, I have some time to pursue my passion: growing exotic foods, although I understand that this Glow in the Dark Mushrooms (Omphalotus nidiformis) is not edible. But it would be such good fun to have them! 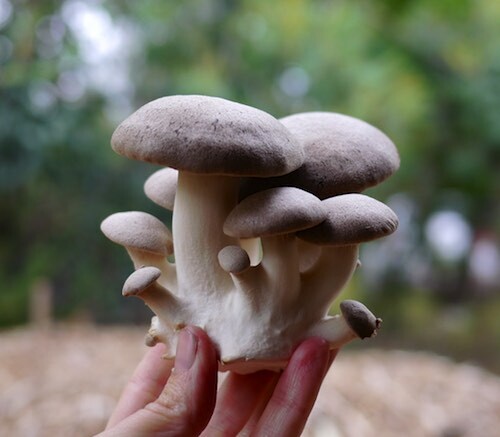 Could you please tell me where I can find some of these mushrooms so that I can cultivate them in my own woods? Thank you very much in anticipation! I’ve seen them in the same spot in Mallacoota! There are also some closer to the road side of that patch of bush. Mallacoota also does some impressive bioluminescence in the water from time to time- the waves in the lake look incredible when they’re glowing!